A sentient robot falls into the hands of a trio of gangsters. South African filmmaker Neill Blomkamp continues to splash his heavy boots in the sci-fi puddle with his third movie. After ham-fisted treatments of racism and class structures in District 9 and Elysium, Blomkamp keeps the allegory to a minimum with Chappie, a movie that outwardly seems like a by the numbers sci-fi flick, but is actually a showcase movie for its leads, South African hip-hop duo Die Antwoord, like a contemporary hip-hop sci-fi take on an Elvis movie. Set in 2016, as though Blomkamp is well aware of his film's disposability, Chappie presents us with a Johannesburg in which the police force has been supplemented by a force of, well let's call a spade a spade - Robocops. 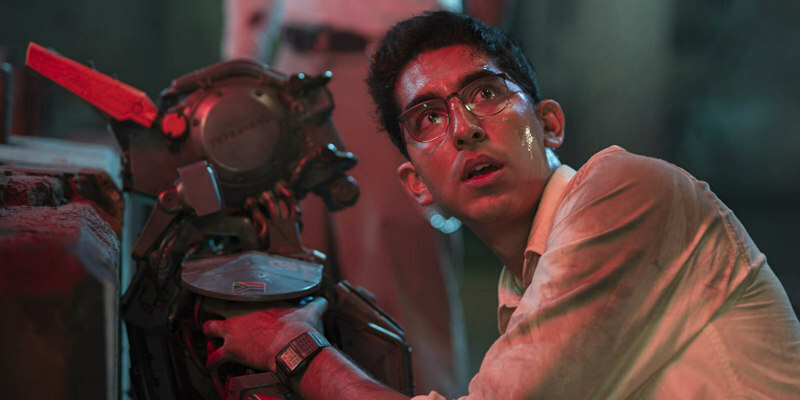 The robotics genius behind these creations, Deon (Dev Patel), has made advances that allow for the robots to become sentient, but his boss (Sigourney Weaver) has little interest in a robot that can write poetry, and refuses to fund Deon's work. Taking things into his own hands, Deon steals a damaged robot to work on in his own time. Meanwhile a trio of gangsters get the idea of kidnapping Deon and forcing him to reprogram the robot to aid them in a planned heist. It's at this point that the movie morphs from a straightforward sci-fi programmer to a postmodern Die Antwoord vehicle. The two members of the rap group, Ninja and Yolandi, play gangsters named Ninja and Yolandi while wearing t-shirts advertising the group itself and listening to their own ear-aching music. To make things even more meta, at one point Yolandi, whose performance may well be the most awkward of the year, sports a Chappie t-shirt. It's as though the film were conceived in the VIP lounge of a Johannesburg night spot, and somehow Blomkamp has managed to get this decidedly niche project funded by a major Hollywood studio. 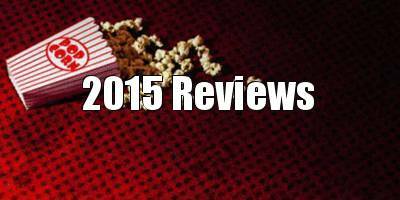 If you're not a fan of Die Antwoord (this reviewer was oblivious to their existence before this film), Chappie is a rough ride, with the duo taking up most of the screen time. While they aren't credited as writers, this feels like just the sort of movie a pair of rappers would conceive of, allowing the pair plenty of opportunity to act 'gangsta' like those annoying middle class white kids who always hang out behind convenience stores. They do seem to have had a hand in the movie's haircuts, with an abundance of mullets on display. Even Hugh Jackman can't pull off the hideous 'business at the front, party at the back' cut he's forced to sport here. "Hey Neill! Wouldn't it be hilarious if we give a major star the worst haircut possible?" "Why not Ninja? Why not?" Blomkamp doesn't seem to know what to do with this pair. Despite spending most of the movie in their presence, we're never sure if the movie wants us to take their side. They're a pretty despicable pair but I get the feeling we're supposed to be won over simply by their 'celebrity' status. Much like Yolandi's squeaky voice but foul mouthed rapping style, the movie is confused about its target audience; far too dumb for adults, but too graphic for kids. A further nod to Robocop comes in the shape of an ED-209 lookalike robot designed by Jackman's disgruntled robotics expert, one that gets unleashed for an overlong and underwhelming climactic set-piece. Chappie himself is an impressive WETA creation, voiced by Blomkamp regular Sharlto Copley, but he's given comic routines that would have felt dated 30 years ago. The Rocky IV robot has more charm than this guy. That Die Antwoord managed to get a major Hollywood vehicle for themselves is no coincidence of course. Chappie is distributed by Sony, who just happen to have the duo signed to their music label. The company's electronics products are all over the movie too; vertical integration at its most explicit. 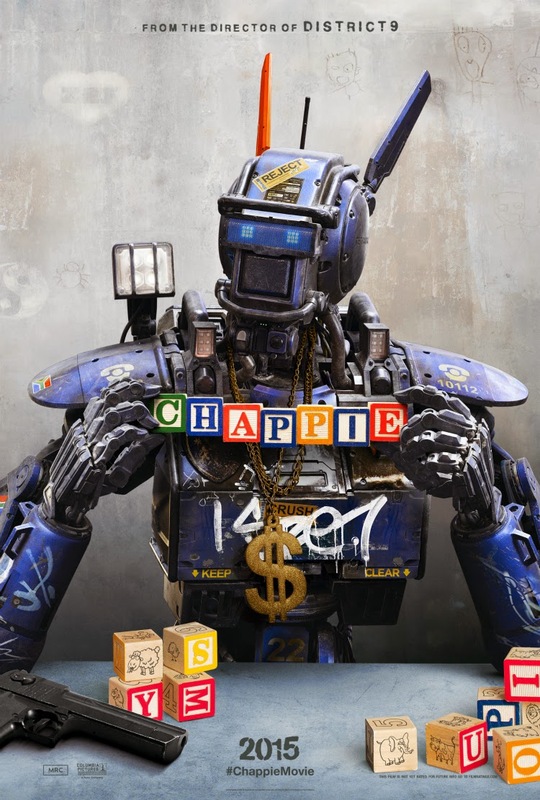 Chappie does for robots and South African rap what Mac & Me did for aliens and Big Macs. Chappie is on Netflix UK now.